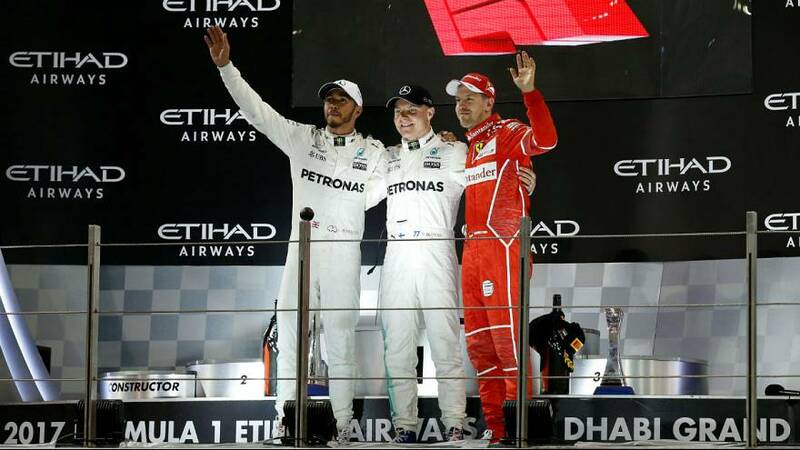 World champion Lewis Hamilton failed to end his title-winning campaign on top after Valtteri Bottas won the season-ending Abu Dhabi Grand Prix. Bottas led virtually every lap to record his first victory since Austria in July and his third of the campaign. Hamilton had already ensured his place as one of the sport’s all-time greats in Mexico last month and joins an elite band of drivers to have won the world championship on more than three occasions. In a processional race under the floodlights, Ferrari’s Sebastian Vettel took third place and finishes as runner-up in the overall championship race. Mercedes had already won the constructors’ world championship for the fourth year in a row. Mercedes one-two finish was their fourth of the season.